Time for lunch… or a spot of tea? For no reason, this little entry, save for the whimsy of a pretty picture. 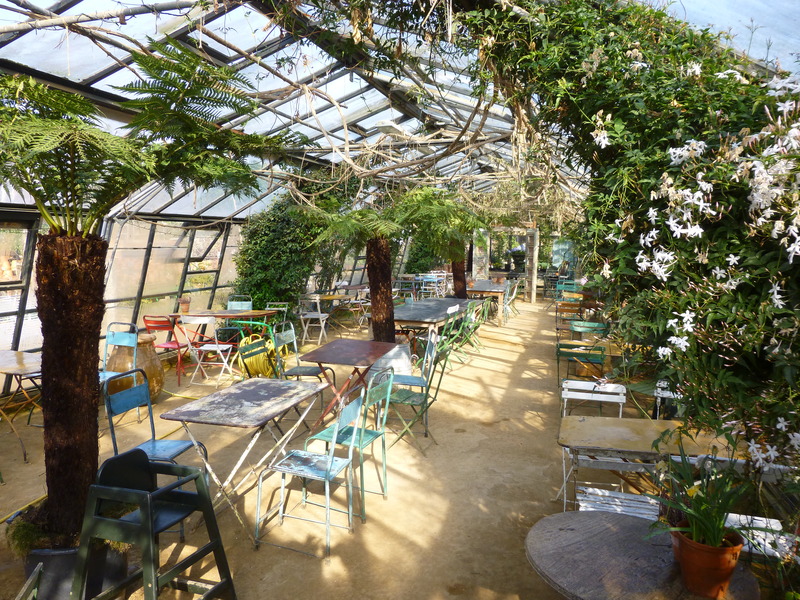 A table laid for a Piedmont-inspired lunch at Petersham Nurseries. 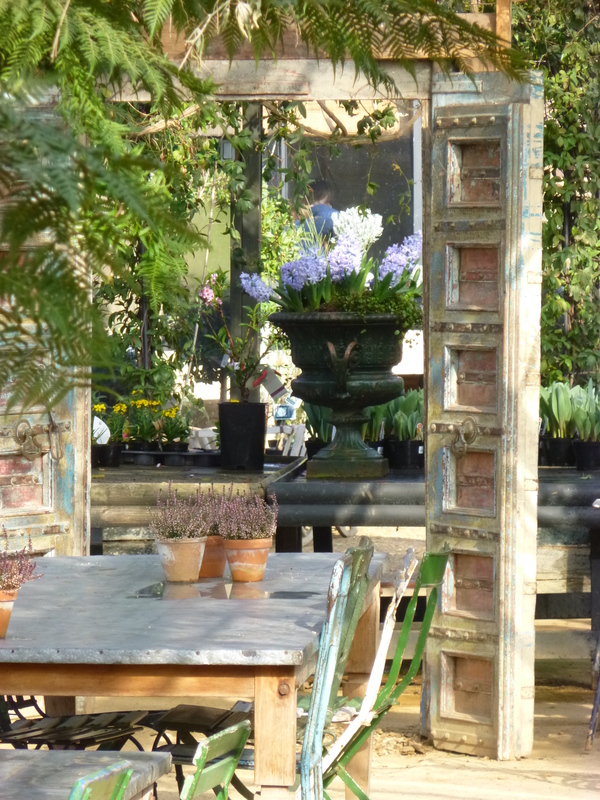 Meanwhile in the Tea House, hyacinths scent the air and all manner of climbers clamber about (Jasmine, Trachelospermum jasminoides, Passiflora), vying with the Dicksonia Tree Ferns for your attention. 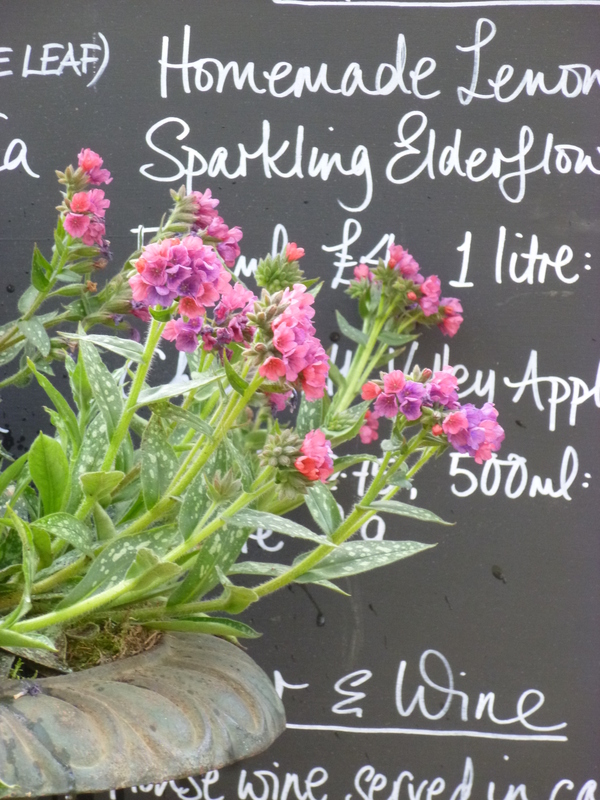 Tall urns filled with Pulmonaria Raspberry Flash don’t seem to be minding the heat or the bright conditions. 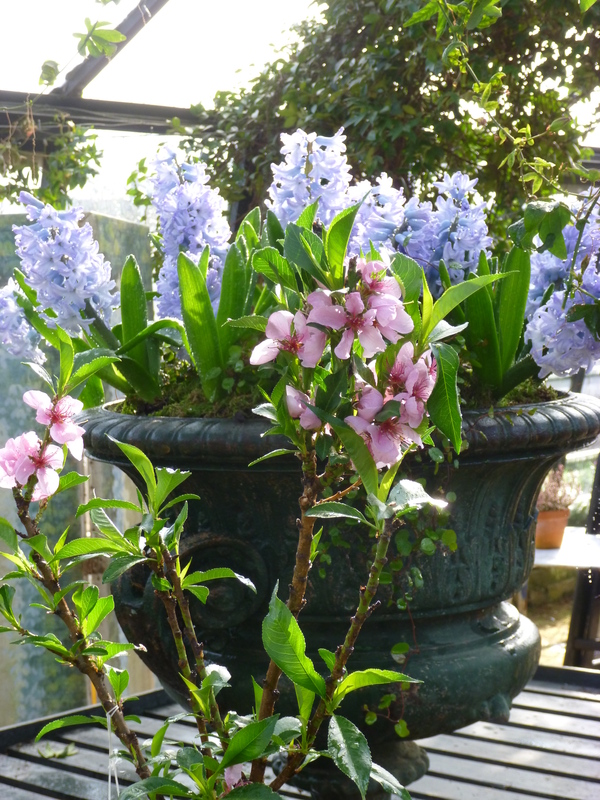 Dwarf peaches are in flower. 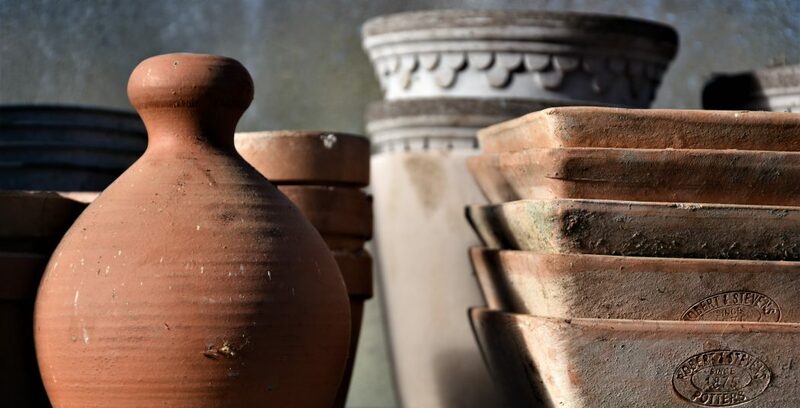 A little more horticulture here then, with ideas for conservatory plants – there’s a link for Burncoose Nurseries for their suggestions.